On 25th May 2018, data protection regulations are changing. These changes give you more rights, including the ability to amend or withdraw how we use your data and to ask us to see, update or remove it. 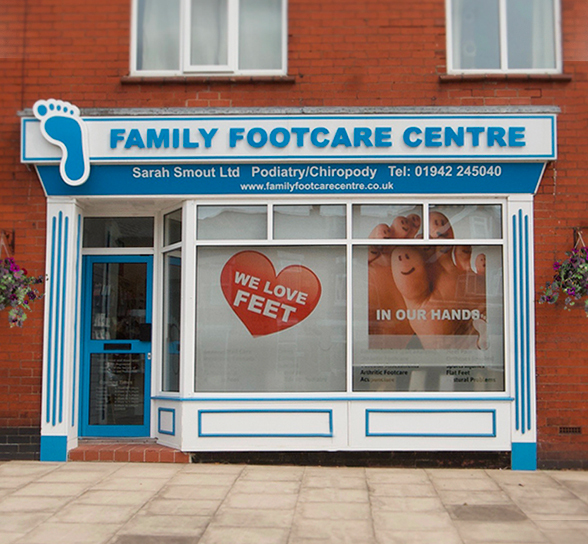 Family Footcare Centre respects your data and puts you in control. By completing this newsletter sign up or response form or contacting us by email you agree for us to store the information you give to us on our email system and it will be used to respond to you immediately or be used to contact you at a later date. If you would like to us NOT to hold your data please email: info@familyfootcarecentre.co.uk and request to be removed from our database.